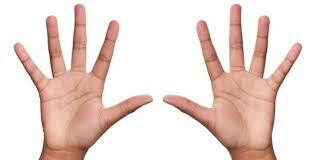 It is popularly thought that the left hand is what you’re born with and the right hand is what you make of your self. To accept this is completely miss the point of how the brain is functions. The left hemisphere of the the brain deals with practicalities, logic ,writing, speech and so on . The right hemisphere the creative part. As brain messages cross over the body,the right hemisphere is governs the left-hand side of the body and vice versa. From this we can conclude that the active ,right hand tells us about the conscious self, whilst the left reveals the unconscious, even the unrealised . For a left-handed person this is reversed.